Houses with swimming pools need special maintenance to keep the pools clean to enjoy summer months. But what about the cold season? Many want to take advantage of swimming pools throughout the year. For this, the pool heating system has become very popular so that people can enjoy a bath in the pool even when it is cold. The two most common types of pool heaters are Gas-fired pool heaters and Electric pool heaters. So, let’s learn about these two types of pool heating system. This type of heaters is widely used to heat swimming pools and there are lots of heater models available in the market that has effective features and great performance. But it depends on the location of your house and the climate whether it will be the best pick. Gas heaters work on either propane or natural gas. When the pump inside circulate the water, the pool water passes through a filter and then to the heater. It is then the gas burns inside the combustion chamber and heats the water. This mechanism is most effective when you have a smaller pool and you need to heat water for a shorter span of time. It will be a nice fit for those who do not use swimming pools often. With proper installation and maintenance, one can enjoy the efficiency of gas-fired pool heaters. As they need complex repair works, it is always advisable to hire a professional pool maintenance service provider. 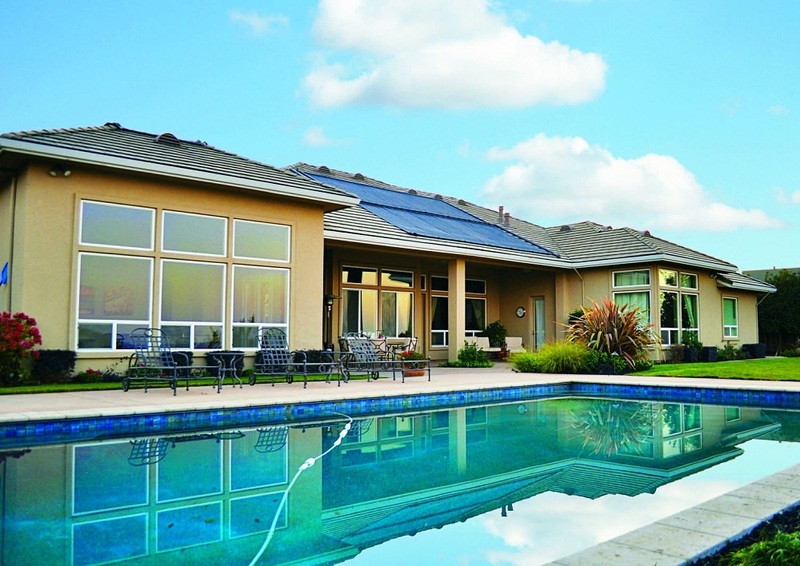 The Electric pool heating system is used by many and is nowadays gaining popularity. 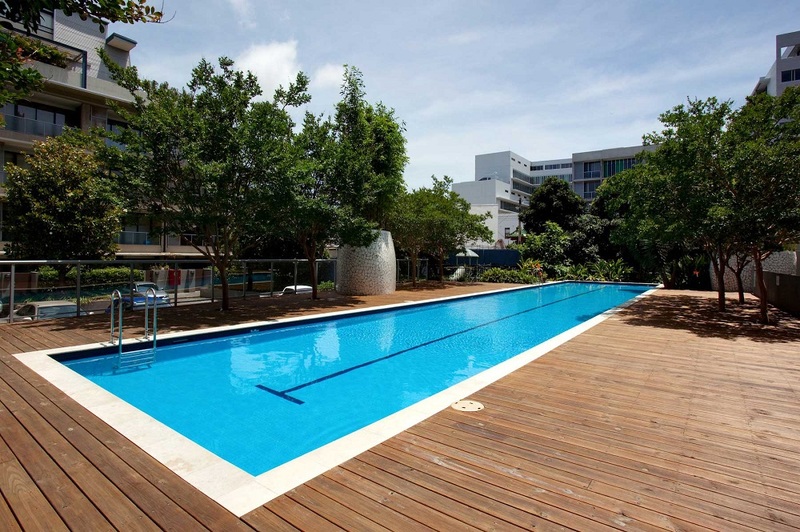 It is quite effective when it comes to heat swimming pools in winter. This type of system works as the heater warms the pool water by sucking some amount of water into a tank. The heated water is then pumped back into the pool. This way the water is in constant exchange, keeping your pool at a perfect temperature as per winter. While this system requires more upfront charges for installation, but you can expect low bills. One of the benefits of such pool heaters is that it works for large water demand. Thus it is good for large swimming pools. Determining the right type of pool heaters is not an easy task. 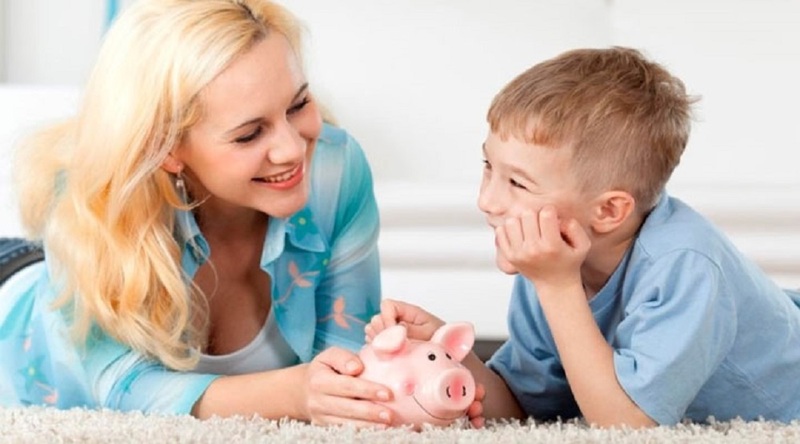 Even after research, it becomes difficult for many to settle for one type of heating system. So, one must need to keep in mind various factors such as heating mechanism, size of the pool, the climate of a region, usage of the pool, cost factor, and maintenance fee. All these are the major factors to consider while choosing the proper swimming pool heater. If you are planning to get a pool heater installed, talk to a certified professional who will be able to guide and find the best solution depending upon your need. Find the best pool heaters for you and keep enjoying the warmth of the pool bath all year round. 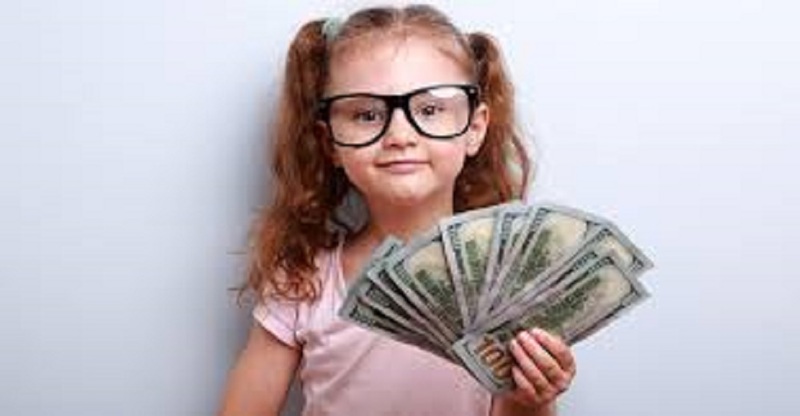 Exert arduously to accord to you unsurpassed value for your expended funds pertaining to your removals. Charge you precisely according to the furniture removalist quote extended by the company to you or by the advertised hourly rates. Verify all the details in connection with your locomotive decision prior to the day of removal. Establish contact with you following the move, so as to ensure certainty regarding a complete satisfactory state of your mind. The team of experts would be discovered by you to be well prepared to perform any size job, big or small, the company does it all without displaying a bit of discriminative tendency. No worries! You could ask your removal firm to transport your furniture material across your street or to the remotest arena of Brisbane. The reputed business shall proffer you their packing services, in addition to their products, thus claiming to be a one-stop solution for your removals. At the metropolitan city of Brisbane, you shall come across a bunch of interstate furniture removalists originating as family businesses and later operating as removalist organizations and in the process accumulating an assortment of professional experiences. Service you with a smile! This motto would be the prominent distinguishing quality of your highly ranked removalist professionals, in general. The prices quoted by them are based upon competitive hourly rate commencing from $72 for the hour. Therefore, in the event that you are moving just one furniture element or relocating an entire houseful of furniture, you shall find the company there at your doorstep for your assistance in the shape of its greatly efficient vehicles and highly trained as well as a qualified battery of professionals. There could be furniture dislodgements Brisbane that could be carried out through the removal companies who operate within the 100 kilometres radius within Brisbane and their main concentration would be focused upon the central suburbs of Brisbane, their most popular areas may comprise the Brisbane Northside and the Brisbane Southside. You could expect a friendly advice in anticipation from the removalists, may it be the one you prefer or else. In Brisbane, there may also be removal companies possessing the award: International Moving Company of the Year, and such companies you would find to be taking pride in the receiving repeat business and referrals within the industry of removals, based on their total commitment to their customers. It is your property in the shape of fixtures displacements in Brisbane that would be move and you must rest assured that the company would take unparalleled gratification in transferring your family as well anywhere within Brisbane. You may be proceeding from Forest Lake to Broken Ridge, or Sunnybank Hills to Capalaba, you can very well trust the firm’s employees to take this responsibility to transport while ensuring the safety of yourself, your beloved family as well as your material in the shape of furniture. The last element that you better be concerned about when moving your furniture is hiring and driving a truck or trailer, packing up all your furniture goods, and physically transporting all of these items! Let the team of professionals associated with reputable removalists perform this task asking for substantial management. The transporter professionals would present to you with the state of the art, highly secure, and all-inclusive storage amenities within Brisbane. The purpose-built furniture storage facilities make it certain almost that your furnishings and personal effects get loaded in a protective fashion free of vermin, dust and weather. While unmatchable precautions are adopted in the course of packing, storing and transporting your furniture, there could be sometimes situations out of control of the van online business. It is strongly recommended that you take out the removals insurance so as to transfer the risk onto the insurance underwriter and thereby relieve yourself of the stress that you could face some undesired unforeseen circumstances in the near future that could hurt you financially. To your probable amazement, there are ejection companies within Brisbane that boast of possessing the financial service's license that permits them to cover your furniture to their full replacement when carrying out locomotion locally within the confines of the capital of Queensland, Brisbane. There are certainly some gadgets in your home that no matter your skill level in the kitchen, you’ll reach for again and again. These tools and gadgets range from groundbreaking invention to the tested and proven classics; they're guaranteed to simplify your work and the results much better than without them. 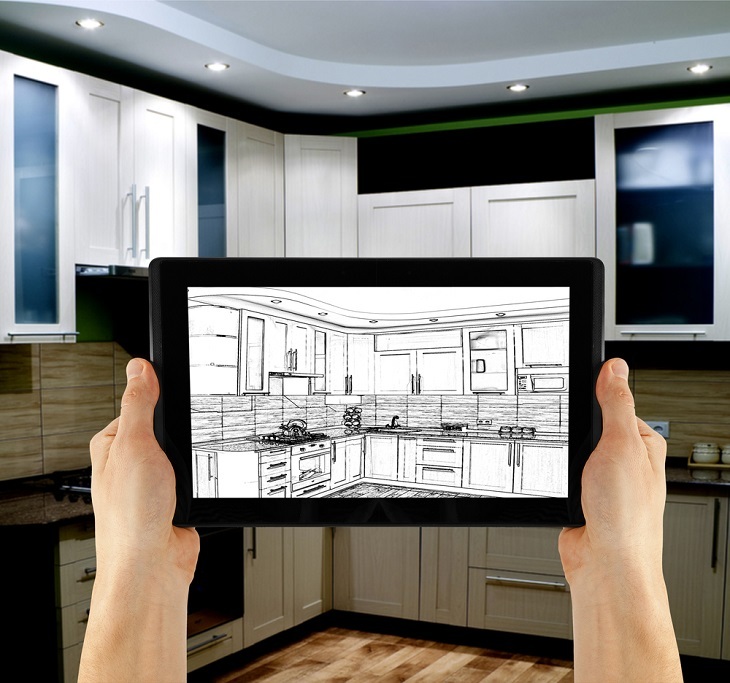 Here's the thing – with lots of connected devices making their way into our bedrooms and living rooms and onto our persons, it was no surprise when gadgets began finding their way into our kitchens. You can now buy several Bluetooth or WiFi-enabled widgets to assist with your cooking, from app-controlled cooktops to smart Crock-Pots. Some of these gadgets are pretty useless – who even needs a toaster that pings your smartphone to notify you that it's done even though it typically only takes a few minutes? Or a smart thermometer, which informs you when your pork roast is at peak temperature after hours of slow cooking. However, due to the fact that you have limited counter space, so you better apply wisdom when it comes to adding new tools and gadgets to your kitchen. Since I spend lots of time cooking, I’m often on the lookout for gadgets and tools that will make life easier for me. There are plenty of things which I couldn’t live without, and I use almost every day. There are several reasons why I so much admire these kitchen cutting boards (technically not a gadget though). Firstly, they literally take up no space compared to the formal thick cutting boards we all know. Secondly, they are super cool and safe because you use a different colored board for various foods: green for vegetables, blue for fish, and yellow for poultry. Basically, no chance of cross-contamination if properly used – and I so much love that! Best part, it’s pretty easy to transport cut-up food to a pan or bowl; just hold the board by the edges and funnel the food into the bowl or pan. So, this is actually one of the tools I can’t stop using in my kitchen, and that’s why I included it here, and even made it number one. It is really crazy how thoughtfully the June Intelligent Oven is constructed. Whether you’re a professional chef or a complete novice in the kitchen, this gadget will certainly elevate your cooking job. It’s made with 6 carbon fiber heating elements to assist with your baking, toasting, roasting, and broiling to perfection. Apart from that, it equally cooks your food 25 percent faster than most normal ovens. And, the whole thing was built with safety in mind, so you wouldn’t have to border about blowing your house up. Interestingly, with this oven, you can do things such as add some minutes to your cook time, preheat the oven – find tasty recipes wherever you are – and also get notified when your food is almost ready. All these right from the June app on your iPad or iPhone (though, it’s still recommended you cook while you’re close to the house). This impressive kitchen gadget is undoubtedly incredible. “I live in a small apartment with a small kitchen, so any cooking tool or gadget that enters my door needs to be really worth the drawer or counter space it occupies. And this OXO Scoop has indeed earned its keep. It’s known as the Coffee Grounds Cleaning Scoop, but do not let the single-use name deceive you – it’s actually one of my favorite multi-tasking kitchen gadgets. For instance, the flexible head and long handle allow me to get deep into the blender or a Mason jar and, of course, a coffee press – in order to scrub out every last bit of sauce or food. And the cool part is that it’s pretty much easy to clean because food slides off the silicone. Let’s be honest; I’m not entirely the juicing type of person – cheese, egg, or bacon is way more preferable for me. However, in an attempt at a more balanced diet, I got one of these…and I ended up becoming very much obsessed. Furthermore, this tool gets every last drop of juice out of any veggie or fruit. Better still, you can decide whether you want a coarse or fine strain (I prefer mine very fine, and this makes a super-doper smooth juice). And did I forget to state that the rose color looks stunning on just about any countertop? You’ll indeed have to make a bunch of use of it to justify its price tag, but that will perhaps not be an issue once you get started. That’s it. I bet you have at least one of these kitchen gadgets in your home, especially the cutting board. If not, you really have to consider getting them as they will consequently make life easier for you. In your home, your kitchen can either be your favorite or your least favorite place. 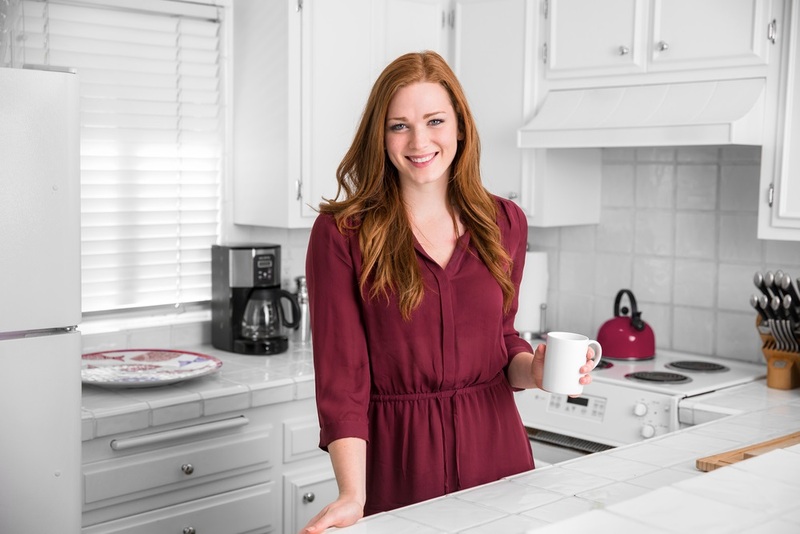 As a homeowner, keeping your kitchen clean and organized is supposed to be on top of your priority. But even an incredibly clean kitchen can leave you feeling anxious sometimes, especially if immediately you open your cupboards, and it’s all messed up. … A disorganized kitchen is quite frustrating and tiring for everyone that makes use of it. Not only does it make it pretty hard to locate things in the kitchen, but it can be absolutely dangerous and harmful when those piles of pans come crashing down on you. And old food? I’m sure no one desires to have a sight of that. Isn’t that worth saying again? For a lot of people, though, an organized and clean kitchen is a dream to be attained someday, maybe after retirement when the kids have all grown and moved out, and life is less stressful. Regrettably, reversing years of poor kitchen organization habits seems like too difficult a task to ever really combat. But the good thing is that you can take reclaim your kitchen without wasting time on boring house cleaning projects. It’s, therefore, time to stop procrastinating, be candid about what you truly need – take back the space you use to cook those delicious meals – and enjoy time with friends and family. While organizing your kitchen, resist the urge to buy extra storage. Rather than making more space to hold things you don’t necessarily need, focus on downsizing. You want to figure out which common kitchen stuff are cluttering your drawers and cabinets, and device better ways of storing them. For instance, spices can eat up a bunch of shelf space and be daunting to access. Now, try transferring them to a drawer with the labels facing onto a shelf over the stove. It’s also good to dedicate one cabinet to your core kitchen items. Additionally, transfer boxed or bagged foods into airtight containers built to stack neatly or stand next to each other. You don’t really need that cookie jar you usually use just for one month on Christmas occupying space in your in-home storage space all through the year. Take it away from the kitchen as well as those fancy serving platters and holiday dish towels – and into a self-storage unit. You also need to watch out for other holiday-specific stuff, such as candy moulds or cookie presses and store them in some other place until you eventually need them. When the holidays come around, get the things you need out of the storage boxes and wash them meticulously. Find an excellent temporary space for them in the kitchen, and put them back into the storage units once you no longer need them. This is because leaving seasonal items out for long can consequently restart the cycle of clutter, and you don’t want that. Your first step toward achieving “kitchen freedom” is to assess the whole space thoroughly. Don’t attach any sentiment to those items you’ve kept all these years, and seriously think about the things you actually use regularly. Emulate minimalists, those that always do their best to not buy more than they need and to discard anything that lacks a clear purpose. All this will give you a starting point to focus on as you create a plan of attack to properly organize your kitchen space. Will, you ever use “kiddie” cups and dishes again? Do you really need promotional items from companies you seldom do business with? Which items can be given away to create more cabinet space? Is there any reason for keeping lids with no matching pots? This will give you the minimalist mindset and let you dispose of items you have no reason for keeping without the unsettling feeling that you might need them at some unanticipated time in the future. It’s necessary to create a daily routine for cleaning and organizing your kitchen. Ignoring those little messes only result in bigger messes, and more overpowering cleaning tasks later on. Finally, the refrigerator can be a very creepy place to clean if you haven’t been giving it the needed attention. Don’t let the fridge in your home to be like the shared fridge at the office that is often filled with nameless spills and expired food. You want to set aside time every 2-weeks to properly clean your refrigerator, including the shelves and drawers. Get rid of old food, repackage leaky thing, and always try to reorganize items as you put them back after cleaning. Renovating your home not only improves the overall look, but it can also increase the resale value of your property. To get the best ROI or return on investment, you need to maintain every nook and corner of your home. The kitchen is an essential part of your house and you need to do kitchen facelifts with some basic things such as installing new cabinets, changing the damaged floor, painting the walls of the kitchen, installing new splash back and island and remodeling the kitchen with the new lighting system. #1. Kitchen facelifts can improve the overall function of your kitchen. For example, if you replace your old cabinets with large wall mounted cabinets, you will get more storage space and access the floor without any trouble. You can also knock down the wall between your kitchen and living room and install a separate counter to serve food. Apart from that, you can also change your old utensils and install some lightweight kitchen fittings. #2. With kitchen uplifts, you can also save up on energy costs. You can change your old refrigerator with a new one that saves power consumption. It is suggested you check the energy star level of these electronic appliances and choose high star rated appliances to save your energy costs. You can also install LED lights to save more. These LED lights not only control power consumption level but they last longer than your traditional lights and save future costs too. #3. You can change the visual theme of your kitchen by painting the walls and installing new cabinet hardware. If you are using an old model kitchen then choose modular kitchen for your convenience. In this regard, you can install some cabinets, new countertops, splash back, and designer sinks as well. #4. Kitchen facelifts can also provide you with great comfort because you can design your new kitchen with proper ventilation and reduce the odors and heat inside the kitchen. Apart from that, you can also install an island in the kitchen and use the same as your breakfast table. Even if you have a large space in your kitchen, you can also design a small office space. Just choose a corner of your kitchen and install a small table and chair. But do not forget to install some electric plugs above the table along with an internet connection for your work. In this way, you can easily complete your small works during cooking. #5. Old kitchens can lead to major injuries that you can avoid by having a kitchen renovation. For example, you can install a wall oven in your new kitchen to avoid injuries caused by physical exertion. #6. Apart from this, as stated earlier, kitchen uplift can increase your property value. If you want to sell your property in the future you will get a decent value for this renovated kitchen. It will give you greater returns on investment. How Would You Uplift Your Kitchen? For kitchen uplifts, you need to get in touch with contractors and designers. At first, you need to design the layout for kitchen uplifts by an architect. Then you can choose a contractor to install the design in your kitchen. 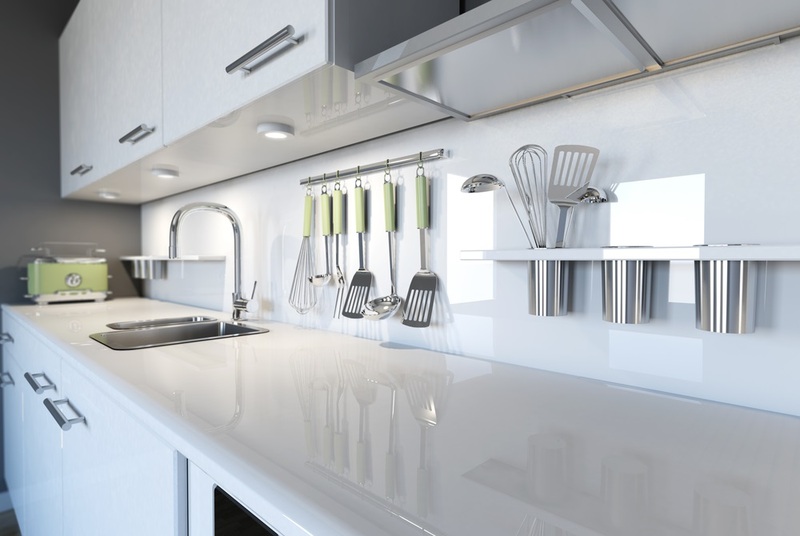 You can always take help of your friends and family members who can provide you with some good contacts, else you can search online and choose the best company for your kitchen facelifts. You are now well informed and equipped to look for contractors online and ask for quotes. Always compare their rates and choose an affordable one. Cabinets happen to be the most visible and easily noticed units in any kitchen, and of course your selection of cabinet styling can make all the difference in transforming your kitchen to a boring one to an elegant one. Cabinets add to the designing quotient and visual impact of any kitchen. In generally most kitchens have cabinets installed in at least two walls, however in some kitchen more than that can be witnessed. However, it does matter whether you have your cabinets meant for regular cooking and storage purpose, or other utility oriented use, cabinets easily change the entire look and appeal of any kitchen. Speaking of cabinets, you get a premade range of designer cabinetry sets easily in stores. However, thinking deeper about the return on your investment, a smart new kitchen and kitchen cabinets designer would always recommend you get quality and custom made cabinets. This not only helps you to derive maximum value out of your investment but also you won’t need to change your cabinets within a few years. Readymade cabinets may often compromise on the quality of material, hinges, panel and functional systems and at the end of the day, you invest a bulk amount for inefficient cabinetry. However, if you really have high hopes and expectations for your cabinets. 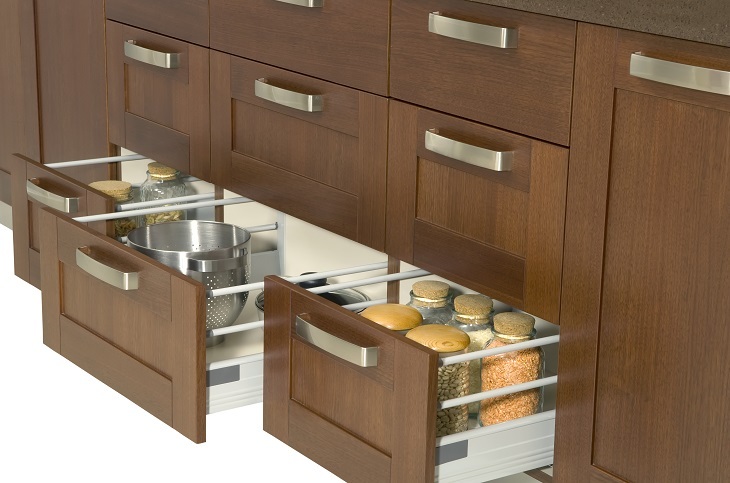 Drawers and trays are handy and easy to use compared to door style cabinets. Think of keeping your spoons, hand blender, other handy kitchen tools in drawers just below your cook top. Instead of keeping things of regular and routine use, below the immediate line of cook top or above it, makes it difficult to be reached out. Instead drawers just need a simple pull and have all your required tools accessible. If you have the kitchen utilities to be kept in near access, you can customize the drawer and tray measurements accordingly. You never end up demanding for more storage solution in your kitchen and that is popular fact with almost every homemaker. Therefore, think ahead about your immediate need while designing your new kitchen and kitchen cabinets. Ask your designer to make use of every remote corner of your kitchen and maximize storage options. You can add the kitchen counter top beneath, also straight up to the ceiling. You can construct custom cabinets, make an option for storage of containers and rarely used appliances. Readymade drawers often are glued, nailed or stapled for fixtures, but these happen to be non durable over a period of use. When you choose particle boards for your cabinet look for thicker, termite proof particle boards for longevity. If you are purchasing ready to install drawers of cabinets go through a comprehensive check to verify if the channelling, hinges, hydraulics systems are functioning in best conditions. 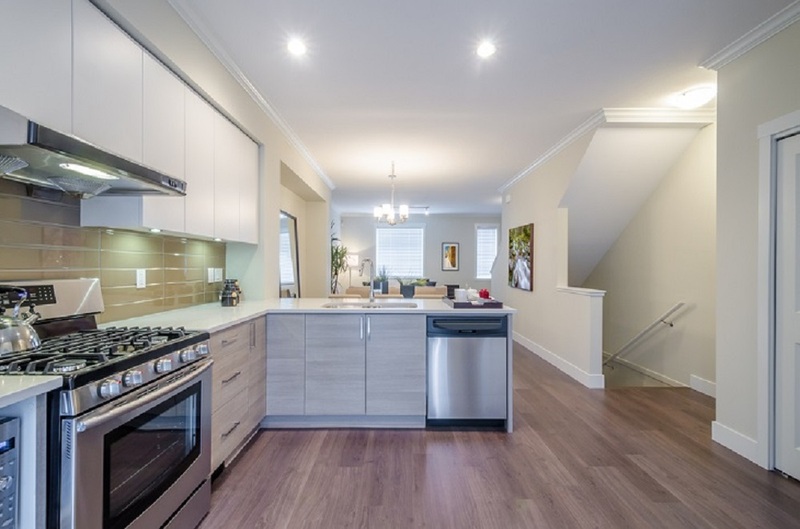 While choosing laminates for your custom made cabinets look for water proof materials since in kitchen you cannot always avoid the contact with water from cabinets. Even easy to clean materials are recommended highly. Smooth finish of cabinet laminates offers better cleaning options compared to ones with curvatures, grooves, engravings, etc. Kitchen cabinets can have adjustable shelves as well, and not only in readymade cabinets but even while making custom ones you can seek for adjustable shelves. Therefore, you can start planning the type of cabinets, size of cabinets, colors that suit your kitchen styling, etc. using the above guidelines. If you are seeking for remodelling of your kitchen, you can ask for a catalogue of cabinetry designs from professional designers for better conceptualization.